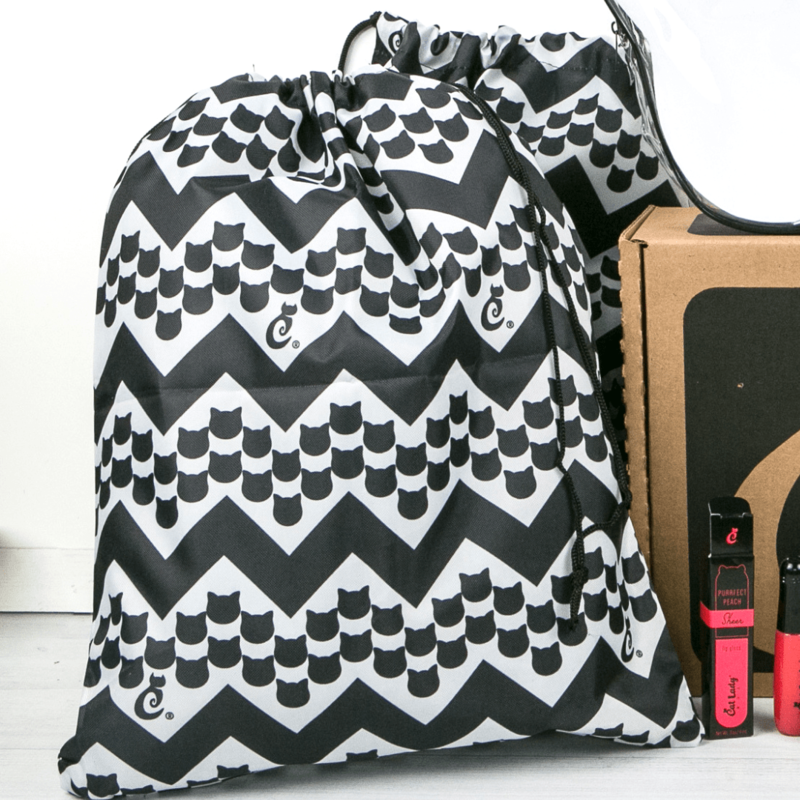 These make great GIFT BAGS for holiday presents! 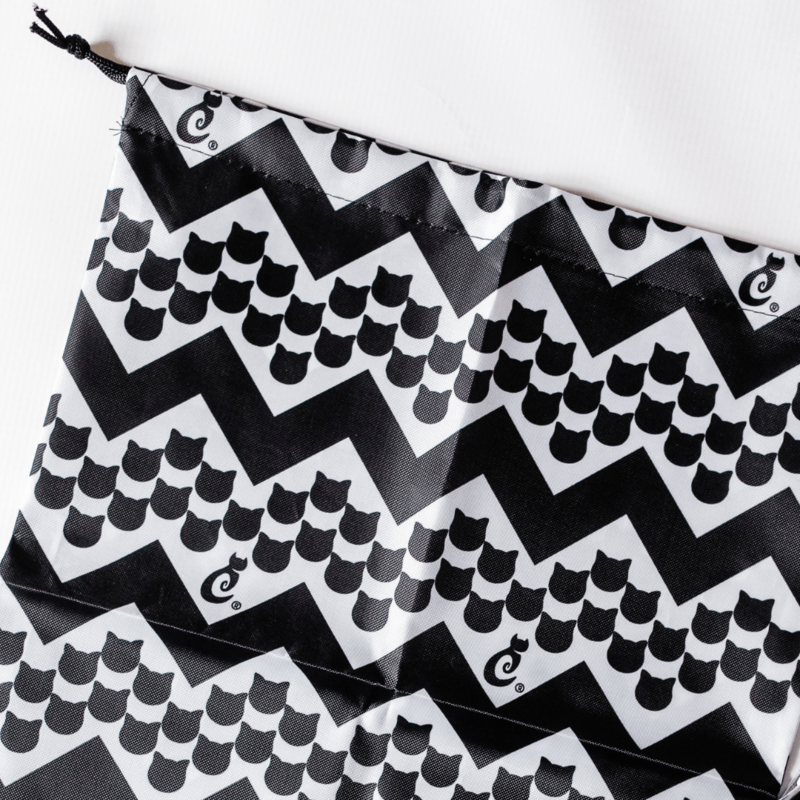 For vacation or staycation or even just keeping your things organized at home! 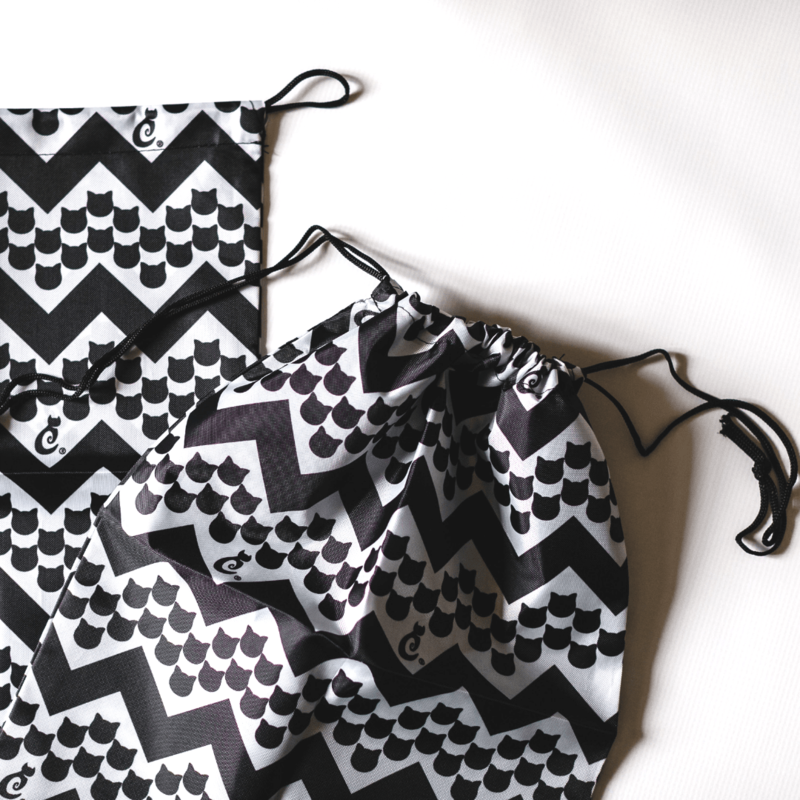 These unique and exclusive cat chevron-design drawstring bags are purrfect for travel -- use them for undergarments, swimsuits, shoes, or anything else you don't want running around loose in your suitcase or bag! 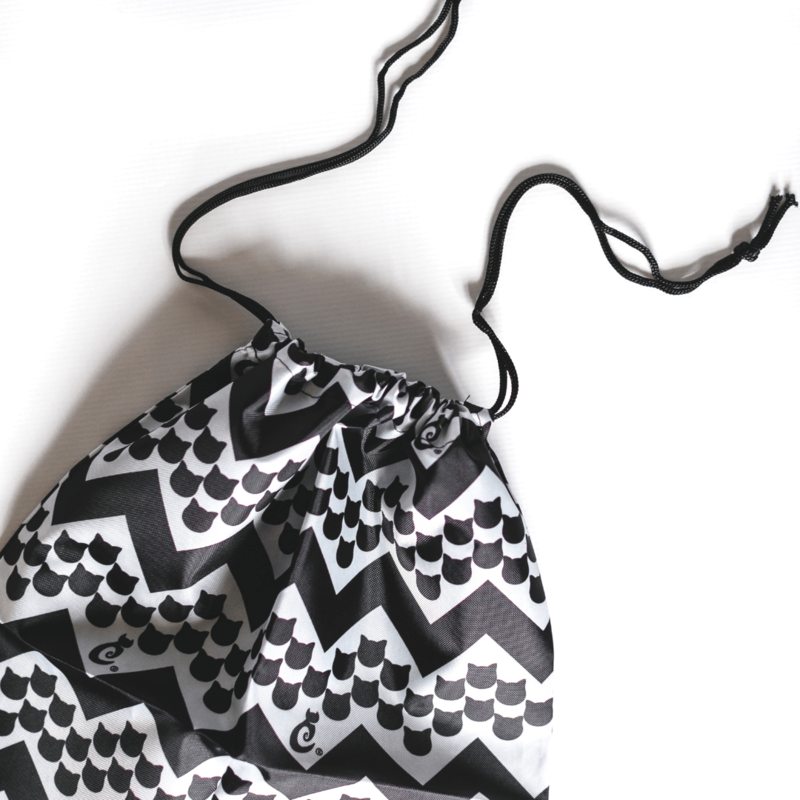 Drawstring bags measure 12 1/4 inches x 16 inches. 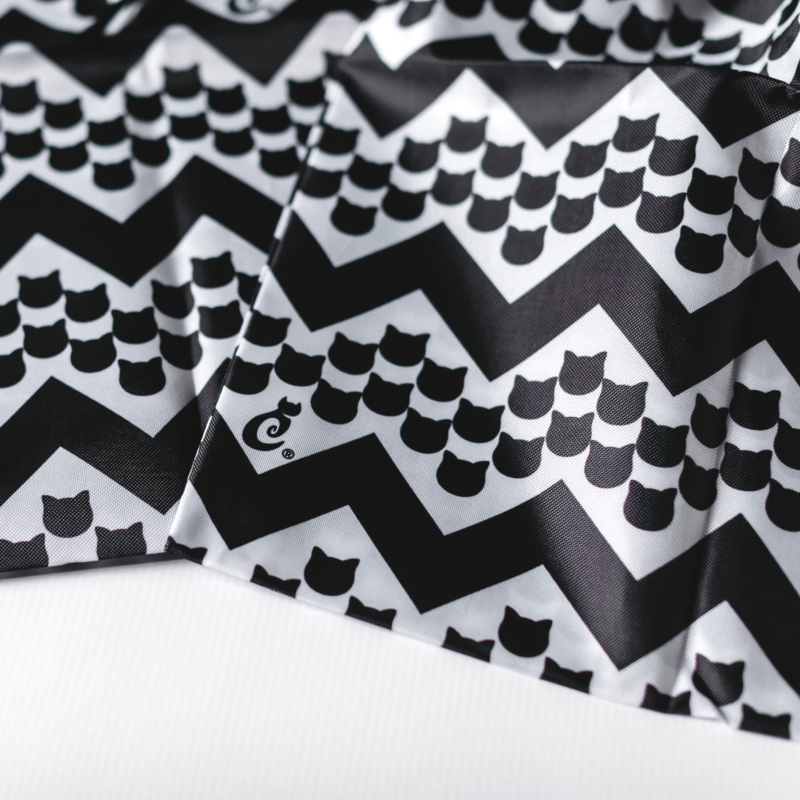 Made exclusively for CatLadyBox and originally featured in our “Suns Out, Purrs Up’-themed box.